Nineteen-year-old Thura al-Windawi traces the days leading up to the bombings in Iraq, the war, and the chaos that followed, describing her life and the reality of war for Iraqi families. As a young man working in East Africa for the Shell Company, Roald Dahl recounts his adventures living in the jungle and later flying a fighter plane in World War II. The U.S. gymnast all-around gold medal winner at the 2012 London Olympics tells her story of faith, perseverance, and determination. A memoir told through the journals, letters, and stories of young cancer patient Esther Earl, who was the inspiration for John Green’s The Fault in Our Stars. Greitens shares his adventures as a young man that led him to a life of service as both a humanitarian and a Navy SEAL. Describes the author's coming of age in a fervently religious household that believed Jesus' return to Earth to take the faithful to heaven was imminent, recounting how his growing doubts of his faith prompted his transformation from conflicted do-gooder to full-fledged teen rebel. A student and political intern credited with saving the life of Congresswoman Gabrielle Giffords during the Tucson shooting in January 2011 shares the story of his young life, exploring the character qualities that have helped him rise above adversity and pursue remarkable goals. The author, who lived in a small rural village in Sierra Leone, recounts how tasting the nectar of a mango gave her the will to live after surviving a brutal attack by heavily armed rebel soldiers and living in a refugee camp. A survivor of the horrors of war-torn Cambodia breaks his longtime silence to share his family's story of death, enslavement, and torture at the hands of Pol Pot's Khmer Rouge fighters, providing an inspirational story of hope to children whose worlds have been devastated by catastrophe. The amazing story of how he rebuilds his life, continues his college education, and pursues a career in sports broadcasting following the injury that paralyzed him from the neck down. When her mother dies giving birth to her, Adeline is considered bad luck by her family, thus when her father's new wife begins to treat her poorly while spoiling the others, Adeline can turn to no one for comfort and must endure the difficult times on her own. With fascinating detail, Edgar describes what it was like to launch into space and land on the Moon, illuminating everything from the practical--eating, sleeping, and going to the bathroom in space--to the mystical, life-changing experience of gazing at Earth from afar. A U.S. Air Force pilot who was shot down over Bosnia describes the true story of how he evaded capture and survived-- with little water and no food--in enemy territory. 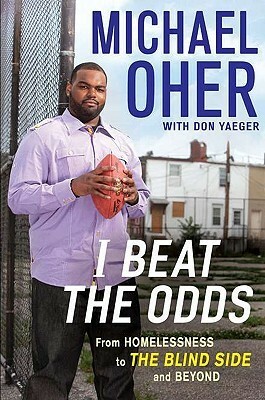 The football star made famous in the hit film "The Blind Side" reflects on how far he has come from the circumstances of his youth. Paulsen tells the real stories behind the Brian books, the stories of the adventures that inspired him to write Brian Robeson's story: working as an emergency volunteer; the death that inspired the pilot's death in Hatchet; plane crashes he has seen and near-misses of his own. The woman whose name is synonymous with the civil rights movement discusses her role in the Montgomery NAACP, her now famous refusal to give up her bus seat to a white man, the Montgomery bus boycott, Dr. Martin Luther King, Jr., and more. Michael Phelps reveals the secrets to his remarkable success, from his training regimen to his mental preparation and, finally, to his performance in the pool. Ashley spent nine years in foster care after being taken away from her mother. She endured many caseworkers, moving from school to school and manipulative, humiliating and abusive treatment from one foster family. See how she survives and eventually thrives against the odds. The story of Jordan Romero, who at the age of 13 became the youngest person ever to reach the summit of Mount Everest. At age 15, he reached the summits of the world's 7 highest mountains. In a harrowing memoir about combat, friendship, fear, and a soldier's commitment to his country, Smithson brings teen readers inside a world that few understand, as he describes his experience as a 19-year-old Army engineer in Iraq. Hope Solo, Olympic gold medalist and goalie for the US women's national soccer team, tells the exciting insider details of her life on and off the field. Recounts the story of how the author overcame a tough and abusive childhood to fulfill his dream of joining the exciting and dangerous world of the Navy SEALs by becoming a Special Forces sniper. Recounts the teenager's record-breaking solo sailing journey around the world, detailing her preparation for the trip and her determination in the face of adversity to achieve her sailing dream. Maya has never been popular. But before starting eighth grade, she decides to begin a unique social experiment: spend the school year following a 1950s popularity guide, written by former teen model Betty Cornell. The real-life results are hilarious, painful, and filled with unexpected surprises. **Please remember that not every book is the perfect fit for every teen. If you have questions about any of these titles, or need other suggestions, feel free to contact any of the South Kingstown Public Library branches. We’re glad to help. This list created for the South Kingstown Public Library by Brandi Kenyon. Updated 06/14.